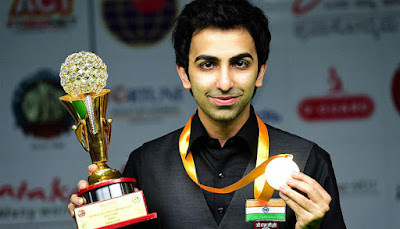 Indian cueist Pankaj Advani clinched his 17th World Billiards Championship title in Doha. He thrashed Mike Russell of England in the finals. Pankaj Arjan Advani is Indian professional player of English billiards and a former professional snooker player. He has achieved a hat-trick of hat-tricks in English billiards, holding the World, Asian, and Indian National Championship titles simultaneously, in three different years: 2005, 2008 and 2012.